Our highly trained and skilled support team help run programmes set by your therapists through daily practical and functional goals that are relevant to you. We want you to ‘get on and enjoy your life’; therefore, therapy goals are integrated into your daily life alongside personal goals such as going to college, increasing your social network or developing your relationships. We work with you and your team to find out what your goals are and plan the steps to help you achieve them. We appreciate rehabilitation can be hard work, so we place great importance on balancing out this effort with positivity, good humour and a good level of fun. This way you are more likely to progress and realise your goals. Our support plans are ABI specific, person-centred and designed to adapt rapidly to your changing needs. We hold regular multidisciplinary Team (MDT) reviews to discuss your progress, and alongside your weekly support worker meeting you have the opportunity to have a 1:1 discussion with staff to run through your achievements for the day and any concerns you may have. Where useful to your progress, we utilise recognised outcome measures such as the St Andrew’s and Swansea Neurobehavioural Outcome Scale (SASNOS), measured goals setting through ‘Goal Attainment Scaling’ (GAS) and measuring independent life skills via the Care Dependence Scale (CDS). Individual therapists will also utilise measures and systems relevant to their discipline. 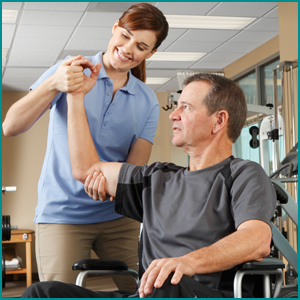 At Ariya we believe you should be in control of your rehabilitation and care. We have a person-centred ethos, and work with you to maximise your engagement, decision-making and autonomy through personalised support planning. Where individuals have limited capacity to make more significant life decisions, we support them to make key decisions by taking into account their likes and dislikes, and we work with their supporting relatives and care team to find the best solutions. We welcome your family input as our rehabilitation model is based on holistic team work. We hold regular networking or training days for family, friends and social workers on specific ABI related topics.